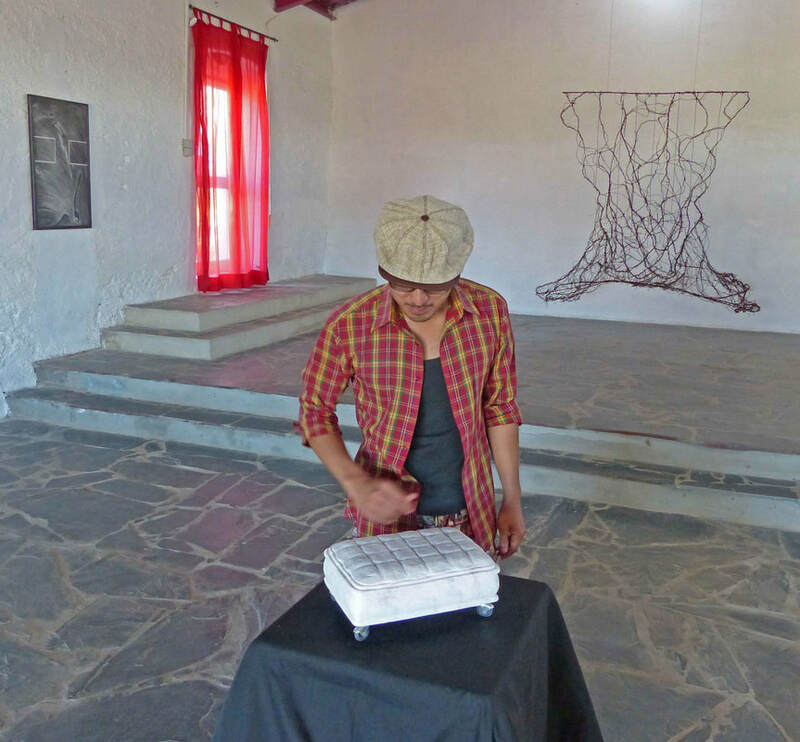 Sandra Trujillo (ceramist; USA) had two residencies in Portugal (including a great exhibition in Évora), and another residency at OBRAS-Holland. 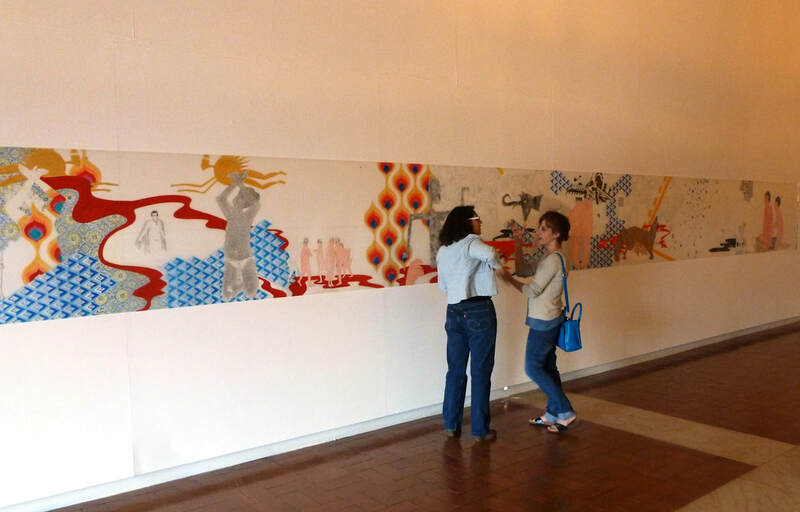 Erika Dahlen (visual artist; Sweden) had five reidencies and a beautiful exhibition in the Palácio de Dom Manuel in Évora. Jonathan Roson (sculptor; Australia, now living and working in London) discovered the quality of Portuguese marble. 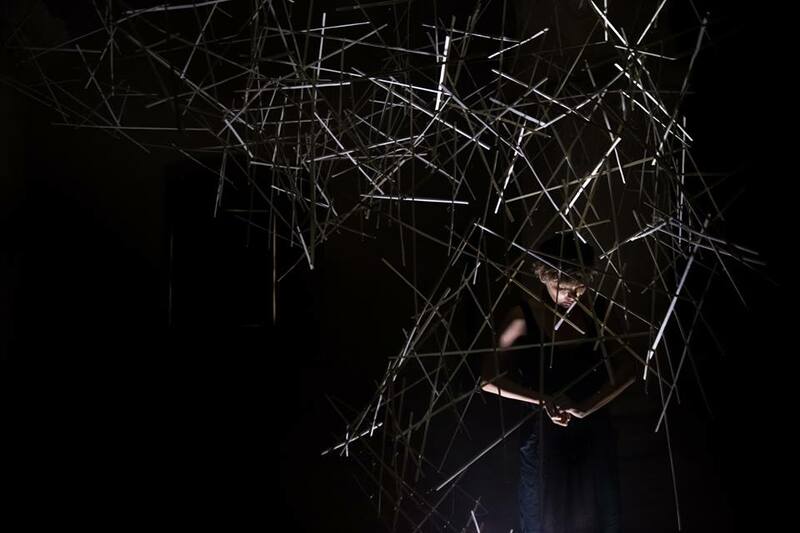 In addition he created land-art around his residency and made an 13 meters long installation with wire and hay. 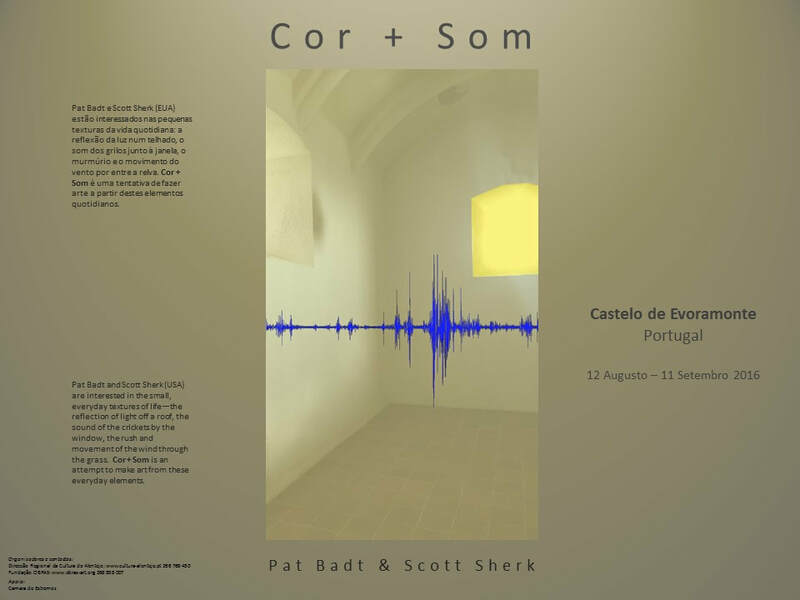 Scott Sherk and Pat Badt (sound artist and visual artist; USA) made Cor & Som, an installation of sounds (collected in the surrounding nature) and light (incoming light modified by transparent sheets). Barinamo (dancers’ duo; South Korea) did several performances, both at the residency and in the Castle of Evoramonte. 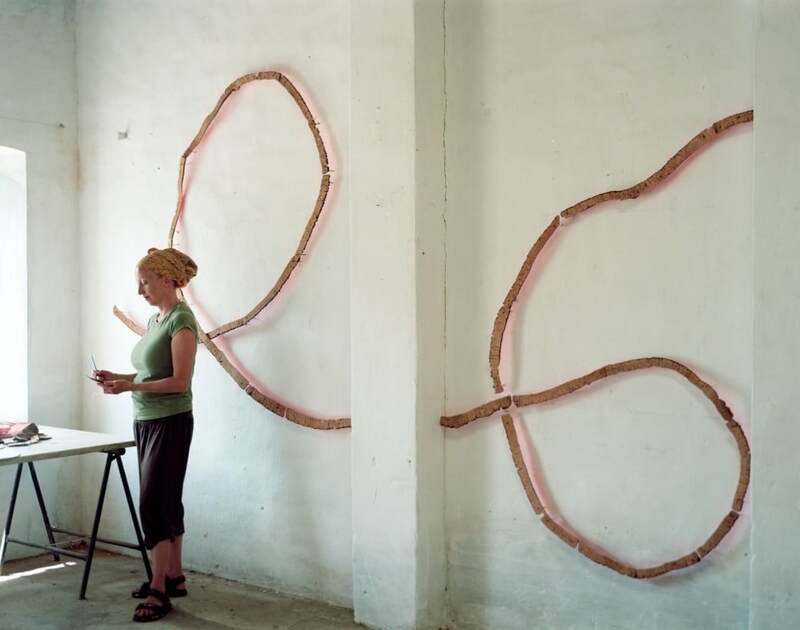 Ingrid Simons (visual artist; Holland) returns every year already for 7 years. She fall in love with Portugal. She had several exhibitions and established an inspiring collaboration with a local potter. Dasja Sitnikova (installation artist; Russia) made a wonderful room-wide installation that seemed to float in the interior of the castle of Evoramonte. 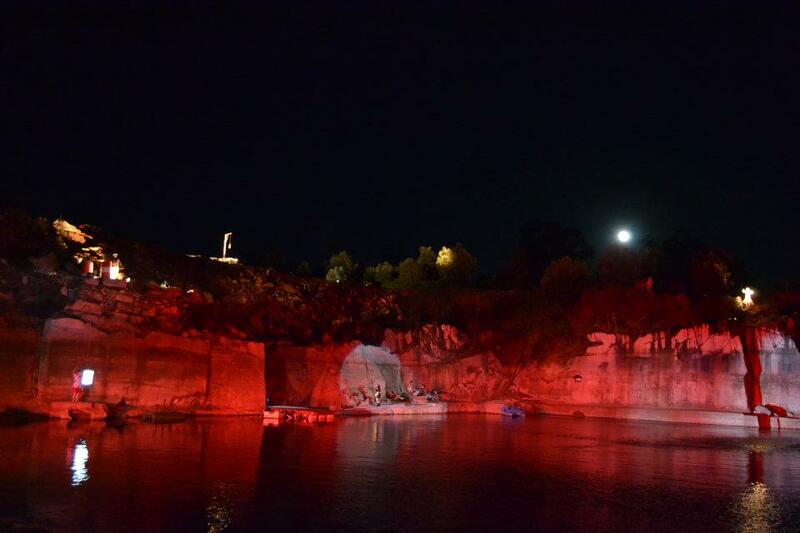 Miira Sippola (theatre director; Finland) directed Divina Commedia 2.0: a site specific theatre performance in an abandoned marble quarry.